On the 1st (Fri), step off the mainland to explore Isla Perro. To see ratings, where to stay, photos, and more tourist information, refer to the San Blas Islands driving holiday app . Oslo, Norway to San Blas Islands is an approximately 20.5-hour flight. The time zone difference when traveling from Oslo to San Blas Islands is minus 6 hours. 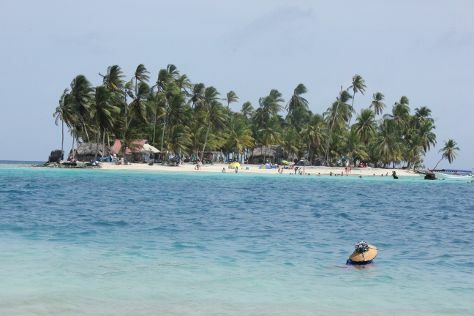 Plan for much warmer temperatures traveling from Oslo in March, with highs in San Blas Islands at 39°C and lows at 27°C. Wrap up your sightseeing by early afternoon on the 1st (Fri) to allow time for travel to La Villa de los Santos. Kick off your visit on the 2nd (Sat): take in the architecture and atmosphere at Iglesia Santa Librada and then step off the mainland to explore Isla Iguana. To find maps, more things to do, other places to visit, and more tourist information, use the La Villa de los Santos trip itinerary maker app . Traveling by combination of bus and flight from San Blas Islands to La Villa de los Santos takes 4.5 hours. Alternatively, you can take a bus; or do a combination of flight and bus. Cap off your sightseeing on the 2nd (Sat) early enough to go by car to Pedasi. Start off your visit on the 3rd (Sun): stop by Artemania and then enjoy the sand and surf at Playa Venao Beach. For ratings, other places to visit, traveler tips, and tourist information, use the Pedasi trip maker . You can drive from La Villa de los Santos to Pedasi in 1.5 hours. Another option is to take a bus. Finish up your sightseeing early on the 3rd (Sun) so you can go by car to El Valle de Anton. 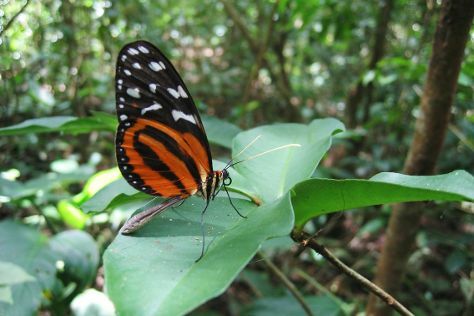 Get in touch with nature at Butterfly Haven and Gaital National Park. Explore hidden gems such as The Sleeping Indian Girl and Playa Santa Clara. Explore El Valle de Anton's surroundings by going to Farallon (Farallon Butterflies & Mantaraya Golf Club), Nata Church (in Nata) and Leading Adventures (in Rio Hato). There's more to do: browse the eclectic array of goods at Sunday Market. For maps, reviews, traveler tips, and other tourist information, use the El Valle de Anton online journey planner . Traveling by car from Pedasi to El Valle de Anton takes 4 hours. Alternatively, you can do a combination of bus and taxi. Finish your sightseeing early on the 7th (Thu) so you can travel to Bocas Town. Do some cultural sightseeing at Plastic Bottle Village and Smithsonian Tropical Research Institute. Get in touch with nature at Scuba & Snorkeling and Bastimentos National Park. 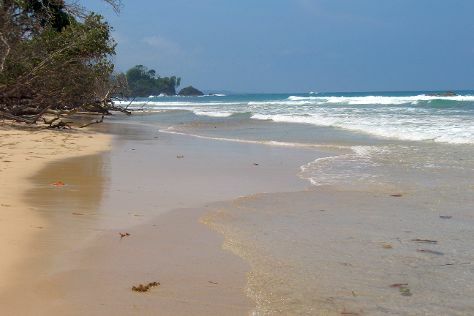 Take a break from Bocas Town with a short trip to Playa Bluff in Bluff Beach, about 30 minutes away. There's much more to do: look for gifts at Up In The Hill, take in nature's colorful creations at Finca Los Monos Botanical Garden, head outdoors with Tajada de Sandia, and relax and rejuvenate at some of the top local wellness centers. For reviews, other places to visit, maps, and more tourist information, read our Bocas Town trip builder tool . Getting from El Valle de Anton to Bocas Town by combination of bus and flight takes about 3.5 hours. Other options: do a combination of taxi, bus, and ferry; or do a combination of bus, taxi, and ferry. Expect a daytime high around 28°C in March, and nighttime lows around 28°C. Finish your sightseeing early on the 11th (Mon) to allow enough time to ride a ferry to Isla Bastimentos. 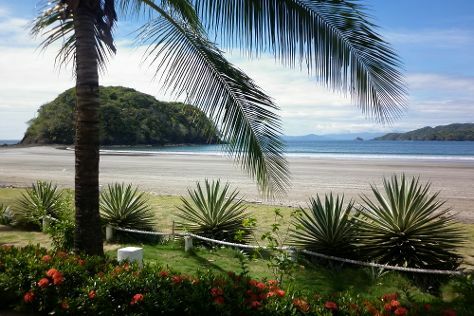 On the 12th (Tue), head off the coast to Isla Bastimentos and then kick back and relax at Polo Beach. On the 13th (Wed), you'll have a packed day of sightseeing: kick back and relax at Wizard Beach and then stroll through Red Frog Beach. For photos, reviews, where to stay, and more tourist information, refer to the Isla Bastimentos trip planner . Isla Bastimentos is very close to Bocas Town. 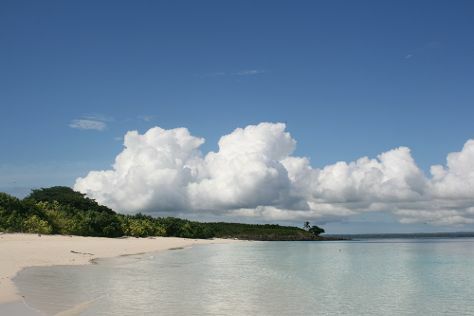 In March in Isla Bastimentos, expect temperatures between 28°C during the day and 28°C at night. Finish up your sightseeing early on the 13th (Wed) so you can travel to Boquete. Your cultural itinerary includes sights like Barbara Rabkin Art Studio and The Zapadora. 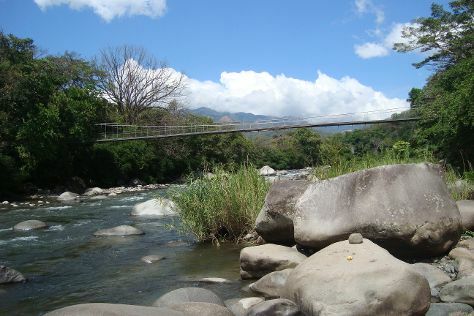 Discover out-of-the-way places like Volcan Baru National Park and Sendero Los Quetzales (The Quetzales Trail). Venture out of the city with trips to Playa Las Lajas (in Playa Las Lajas) and Los Cangilones de Gualaca (in Gualaca). There's much more to do: admire the sheer force of The Lost Waterfalls-Boquete, play a few rounds at Lucero Golf and Country Club, take a pleasant ride with a tour on horseback, and take in the dramatic natural features at Los Ladrillos. For reviews, where to stay, photos, and more tourist information, read Boquete trip itinerary planner . Traveling by combination of ferry and car from Isla Bastimentos to Boquete takes 4 hours. Alternatively, you can do a combination of ferry and bus. Wrap up your sightseeing on the 18th (Mon) to allow time to take a bus to Isla de Coiba. Start off your visit on the 19th (Tue): explore the striking landscape of Parque Nacional de Isla Coiba. To find photos, where to stay, other places to visit, and more tourist information, you can read our Isla de Coiba trip itinerary planner. Traveling by bus from Boquete to Isla de Coiba takes 5 hours. Finish your sightseeing early on the 19th (Tue) so you can travel to Contadora Island. Start off your visit on the 20th (Wed): stroll through Playa Ejecutiva. To see more things to do, ratings, maps, and tourist information, go to the Contadora Island travel route planning app . Getting from Isla de Coiba to Contadora Island by combination of flight and ferry takes about 6.5 hours. Other options: do a combination of bus and ferry. Expect a daytime high around 39°C in March, and nighttime lows around 27°C. Wrap up your sightseeing by early afternoon on the 20th (Wed) to allow time for the ferry ride to Panama City. Casco Viejo and Panama La Vieja are good opportunities to explore the local culture. Explore hidden gems such as Iglesia del Carmen and Bahai Temple. Take a break from Panama City with a short trip to Panama Rainforest Discovery Center in Gamboa, about 54 minutes away. Spend the 24th (Sun) wandering through the wild on a nature and wildlife tour. There's lots more to do: browse the different shops at Albrook Mall, get engrossed in the history at Museo del Canal Interoceanico de Panama, don't miss a visit to Amador Causeway (Calzada de Amador), and explore the striking landscape of Metropolitan National Park. For more things to do, ratings, traveler tips, and more tourist information, read Panama City vacation builder site . You can ride a ferry from Contadora Island to Panama City in an hour. In March, plan for daily highs up to 38°C, and evening lows to 28°C. On the 26th (Tue), wrap the sightseeing up by early afternoon so you can travel back home.